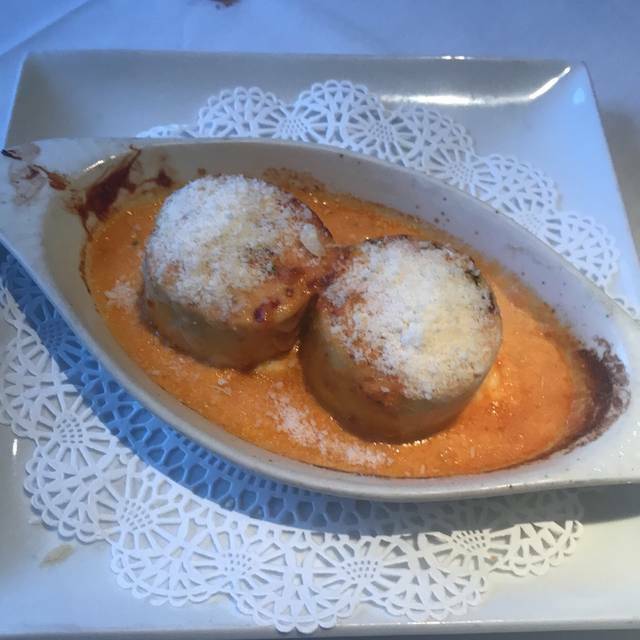 At Antonello Ristorante, we transport you to not just another place, but to another time. As you walk into Antonello's Main Dining Room, a typical scene from the streets of Bistango, Italy comes alive. 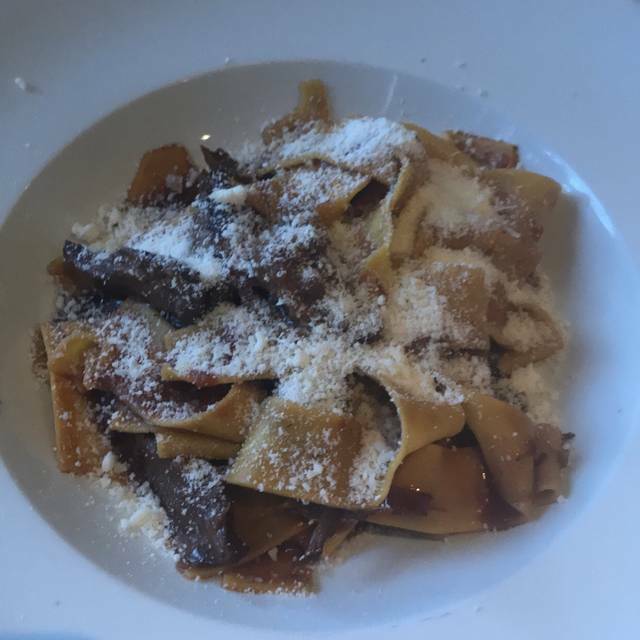 "Signature Pasta of Piemonte, Italy (Antonio's Hometown)"
Good food. I was served quickly and the waiter was good as well. I will keep going back for sure. We’ve been enjoying this fine restaurant for almost 40 years. I’ve never once had anything but a five-star experience! Everything was great. My date was so excited and impressed. The wine, cappuccino, octopus, wilted spinach salad. Everything was amazing. My only criticism would be the aircraft cable that suspended the lights looked a bit dusty and grimy. Other than that, I can't wait to head back and try something else. Very subpar Italian food in a mall. Would not go back. Service was great though. Service was okay. The trifle risotto had great flavor but personally it was a little to much on the al dente side for my taste. Hands down, incredible food. Ambiance and decor could use some updating but who cares! The food is that good! 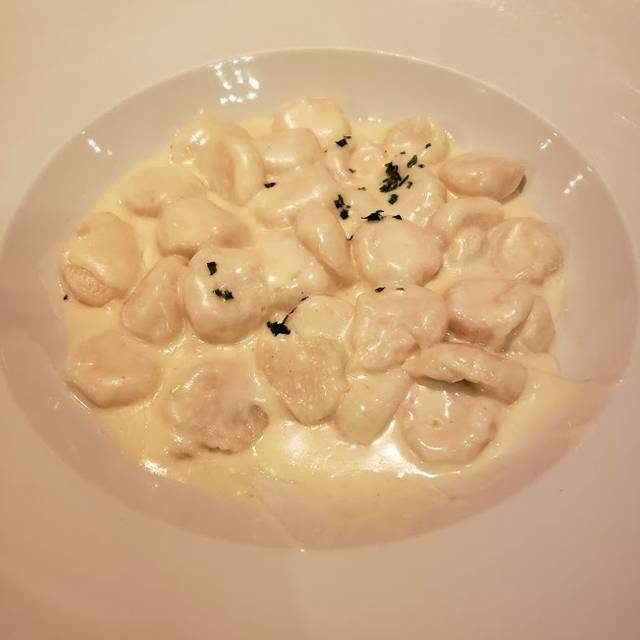 It had been a while since we had last dined at Antonello, and after this last time my wife and I each wondered why it had been so long. The service was absolutely impeccable, and everything that we ordered was exceptional! Waiter was great! Service was excellent. Our group was difficult, but the restaurant was very helpful helping us have a great time. The best experience ever! My first time at this long time favorite of my wife. Excellent on all aspects. Definitely want to go again and try everything on the menu. As always, it is a very nice restaurant with great service and food. I'm only sorry that I live so far away and can't visit more often. Really bad service from our waiter. He was hostile and borderline rude, possibly because we did not order any alcohol? Tried to ask about menu and specials and got a glaring scowl only. when the wrong dessert came out he offered to grab the right one for us as well. My osso bucco was fine but have had better. Vegetables were overly oily but no one asked until the meal was over and the Owner came by. By then we didn’t want to cause a fuss. Asked 3 times for water which bordered on ridiculous. This used to be a favorite of ours but would not return or recommend anymore. The food and service was outstanding. Carlos was a great waiter and helped our birthday celebration special. Italian food at its finest! Great ambiance... fabulous service from the moment you walk in the door b6 the very friendly hostess, to the Waiters, the manger and the Owner com8ng by to see how your dinning is going. Great selection of fabulous wines! A must try! This was a wonderful restaurant. I went there with a group of 6 during the Expo West show. Everyone loved it! Service was excellent and we greatly appreciated not being rushed out when we were the last to leave the dining area after a 3.5 hour dining experience. 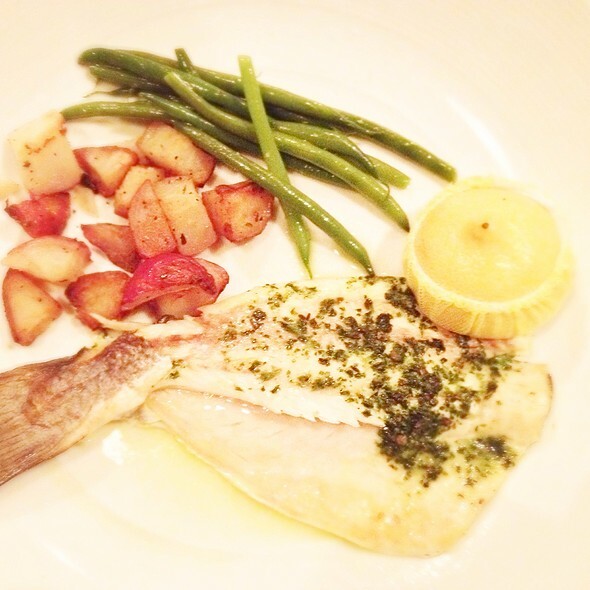 We had the Branzino for our main dish which was cooked perfectly. They were kind enough to accommodate our family’s special diet needs and requests. Excellent food and service. Miguel was our server and he was knowledgeable about everything. My wife has celiac disease and they had gluten free spaghetti and penne. Very accommodating. The veal was excellent and the service superb. Celebrating a birthday, or special occasion? This is a great place for that. Food is excellent. From pasta to seagood to steak. We had the flambe mussles. I ordered the steak diane tableside and my boyfriend had spaghetti pescatore. Finished with Profiteroles for dessert. 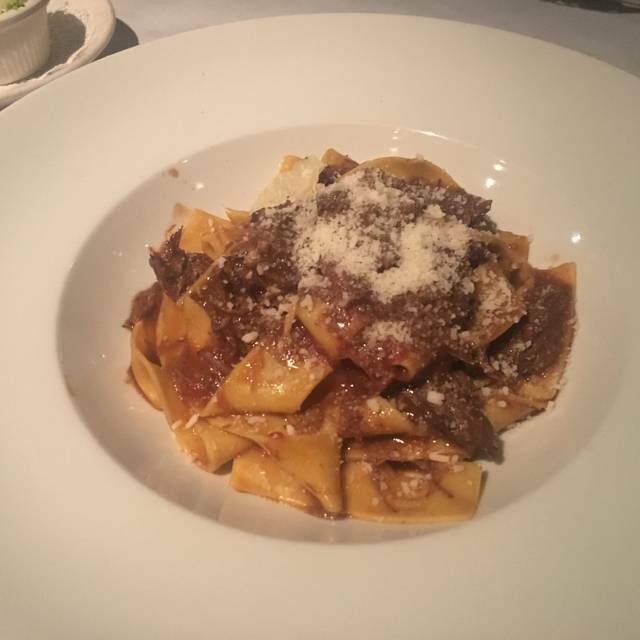 Every time we visit Antonello, which isn't frequently, but regularly, we are reminded how terrific the food and service is, and how much we find it to be far superior overall to just about every other Italian restraint in the general area. From the impeccable presentation and preparation of the cuisine, to the attentiveness and knowledge of the entire staff, it's always a memorable experience at Antonello. We just can't say enough positive things about it; that's why it is an institution and a treasure of Orange County, and well worth a long drive for many of it's other regular patrons. Thank you for being a part of our lives, everyone. Food was excellent, very good quality it tasted like authentic homemade Italian cooking. For pasta it was overpriced and so was the fish. You can get a whole fresh branzino that is enough for 1 person shipped from Greece from Whole Foods for about 10$ each. I would definitely go again and try all the pasta dishes! 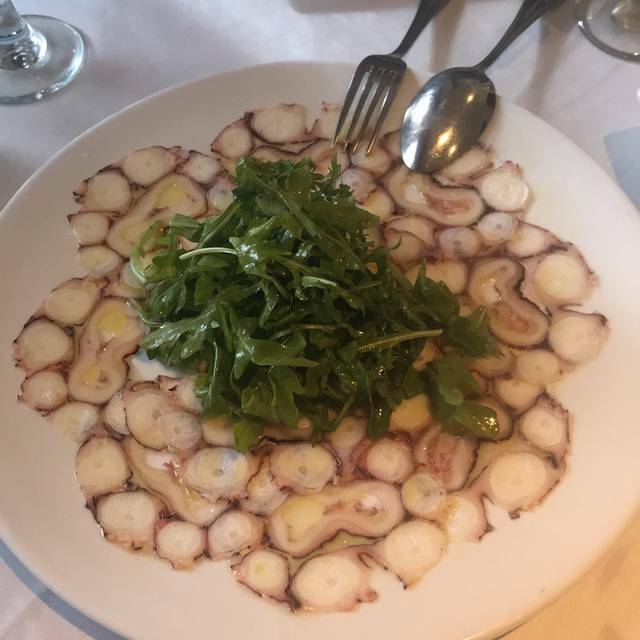 The octopus carpaccio was amazing! Dinner with colleagues from around North America. Great good, wonderful service, charming atmosphere. Everyone had a wonderful time. 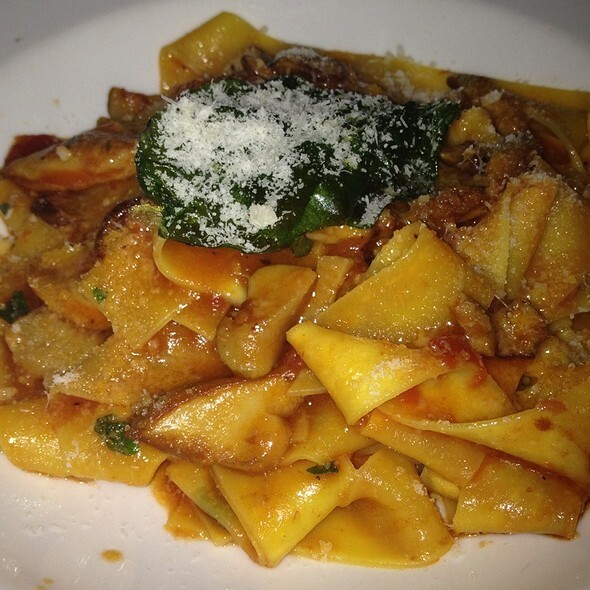 Antonello's is consistently a winner: the food is great meaning the pasta is al dente and the sauces marvelous. Service is professional and accomodating. Conversation is possible because the noise level is down. The ristorante is tastefully decorated with an Italian theme. Only one improvement I would recommend: the entry door is small and heavy: difficult for one on a walker to open. The food & service were outstanding. We're looking forward to another visit soon! One of, if not the, best restaurant in Orange County. 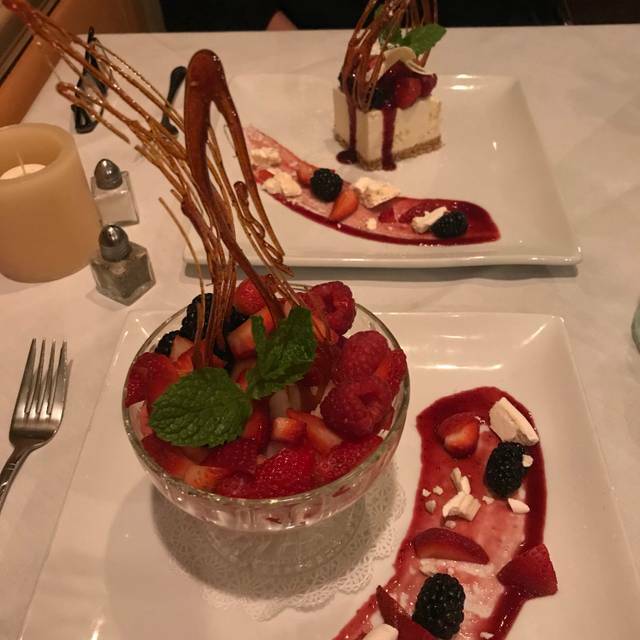 Great food and excellent service -- with credit to Carlos who is a true gentleman and professional as a first class waiter who makes the evening special every time. Food was excellent and so was the service and ambiance. Highly recommend for a special occasion or celebration. I had a business dinner and we were seated in an area near the back of the restaurant. We were able to have a lively conversation without shouting to be heard. The waitstaff was appropriately attentive and the food was great. Dining at Antonello Ristorante is always a most pleasant experience. The food is wonderful, the staff is friendly and efficient and the ambience is welcoming and warm. 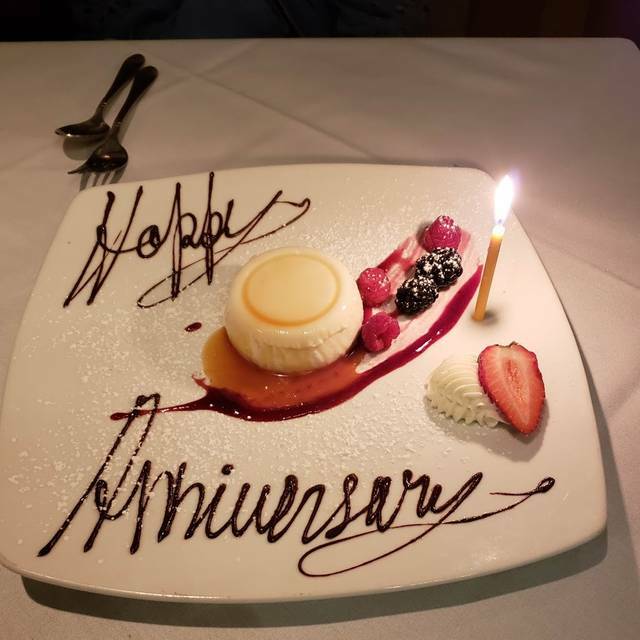 We would highly recommend Antonello's to any of our friends looking for a fine dining experience. The menu is diversified and the Specials for the day wonderful though pricey. But, worth the expenditure! Amazing service all around. The food was delicious as well. A must try for any Italian loving fans. Ask for Fernando as your server and thank me later. We make a point to come to Antonello’s every year when we come to our trade show in Anaheim. We always get a fabulous meal and impeccable service. You can’t go wrong here! My wife’s birthday and we were given a lovely private room for our party of 8. Our waiter was superb, very attentive. Everyone had a great time. Calamari appetizer is very good along with the caprese and Caesar salads, braised shortrib served on parpadelle noodles was absolutely delicious as well as eggplant Parmesan side dish, chicken parmigiana, and a must is the cheesecake! The initial greeting was excellent. I ordered the Oso Buco (one of the evening’s specials) it was quite ‘good’ but not as tender as I’d expect. The risotto was excellent. The service was acceptable, but not outstanding. All-in-all a good experience. Delicious food, sensitive caring service, just the right mood and ambience (neither too stuffy nor too casual), a wonderful dining experience every time.